Exciting post topic rrrrrright??? If you’ve ever HAD a toddler with constipation then you feel my pain on this and understand why I would write an entire post on the topic. It’s no joke. I was shocked when I posted a pic on IG awhile back celebrating the fact that Tess finally pooped that so many mama’s commented that they too have dealt with the struggles (literally) of toddler constipation issues. 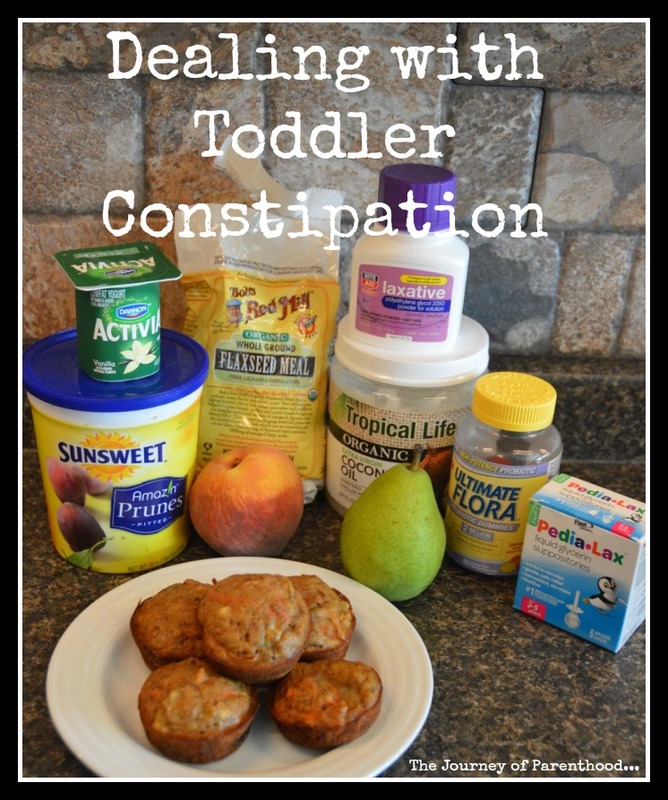 I think toddler constipation is rather common for multiple reasons. Toddlers become pickier eaters and the change in diet messes with their systems. Also potty training will cause them to be more fearful of pooping which can create constipation. Tess also just stopped drinking breastmilk in January so I think that had a lot to do with her issues as well. Up until she stopped with the breastmilk she actually had mega loose stools. So much so that I was concerned and asked her pediatrician about it! I was really surprised when she ended up being my first kid to struggle with constipation! We went from never a solid poop to too solid of poop! It’s interesting to me because her pregnancy was my first time in my life being constipated and now she’s my first kid to struggle with it as well! Prunes help, but not as much as actual prune juice does (I had to dilute it to get her to even drink any). Apple juice sometimes helps as well (she didn’t like any juice at all so I just pushed water as hydration is key!). Both a probiotic as well as a fiber vitamin are good to give kids who struggle with using the bathroom. She’s done well with gummy type vitamins. I’ve heard that powder mixes of probiotic are actually the best but I knew if she won’t even drink juice that there would be no way she’d drink something with powder! Flaxseed Meal is GREAT to sprinkle onto foods. I actually had some that I used to make lactation cookies while nursing so I just got in the habit of sprinkling it in yogurt and oatmeal. A TON of friends also recommended coconut oil (doesn’t coconut oil seem to be beneficial for everything?). I use a spoonful and mix it in with her yogurt each morning! I really wanted to try to get her to go on her own but I was worried she’d get compacted and I had several people say their kids got backed up and it can mean a visit to the hospital. No thanks. Miralax is safe for toddlers in small doses (1 tsp a day) so I did that for several days and also broke down and did ONE dose of Pedia-lax. It got the job DONE and got it done FAST. 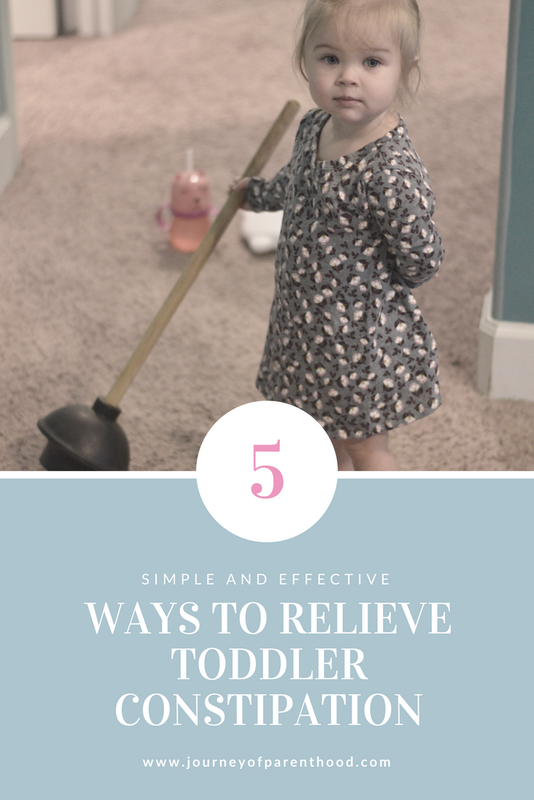 Once I used the pedialax once I was able to stick with the Miralax for about a week or so just to make sure she got on a regular pattern of going on her own and that it was soft enough to avoid pain (seeing your child in pain to poop is PITIFUL). Even after she seemed to improve on her ability to go I have continued to be mindful of keeping things running smoothly. Kids who get constipated once tend to have it happen frequently and I want to avoid it at all costs. I make sure she eats 1-2 prunes a day as well as Activia yogurt, vitamins, and I continue to sprinkle the flaxseed onto her foods. Hopefully being proactive about it will allow me to avoid ever having to do the pedia-lax again! 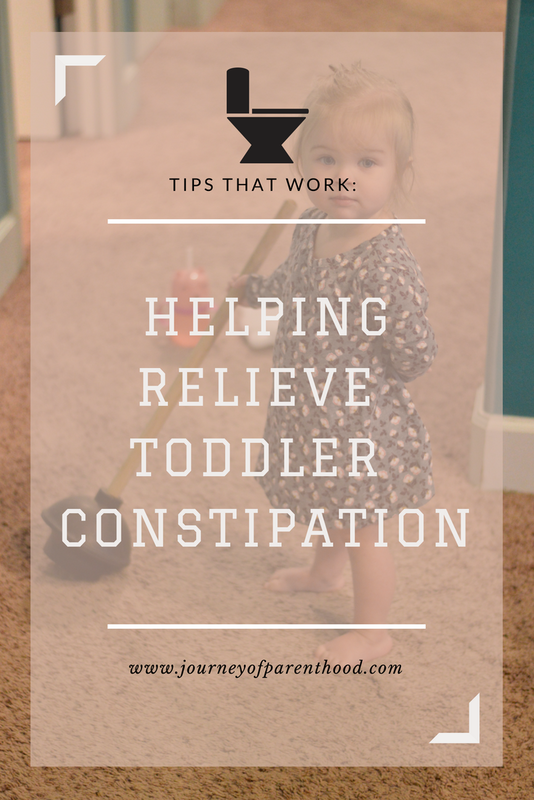 What are some of your tips to help with toddler constipation?? ?